Over the last few months the NIOD Photography Fluid has been popping up left right and centre; at least that is just on my twitter feed alone. Fellow blogger and beauty addict Stacey was the first person I saw raving about this little product, therefore after discovering that it was fairly reasonably priced I decided to pop it into my basket in order to see what all the fuss was about. 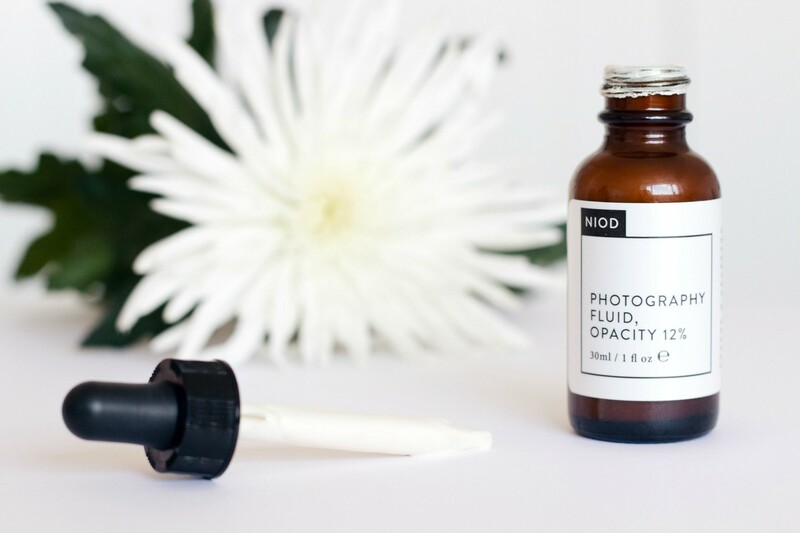 The NIOD Photography Fluid is a product which at first I struggled to grasp the concept of. What exactly was it and where should I use it within my routine? Quite simply it is a serum treatment in which its purpose is to minimise the appearance of imperfections and to even out skin tone. Through the patented Dragon Fruit Chromatic Refractor (try saying that after a night out) your skin’s radiance looks boosted under light conditions and camera settings. Essentially this serum will aim to give you picture perfect skin, however, does it work? In a nut shell I want to say yes, although, it is no miracle worker, I truly believe only the likes of Photoshop will ever give you picture perfect skin. That being said, we can help ourselves with products such as this. Each morning I like to use this on top of my moisturiser which I know seems odd considering it is marketed as a serum, however since I find it works best as a primer for me it makes sense to use it after my moisturiser and before my foundation. Since using the NIOD Photography Fluid I have noticed that my make up does look much nicer when it is sitting on top of this. It creates a really nice base for the make up to adhere to, ensuring that it lasts much longer throughout the day. It goes without saying that this acts as the best primer I have tried to date, even if that is not the purpose of the product. The product itself is packaged nicely in terms of presentation, however in practice it really does fall fowl of the design. The serum is quite simply too thick for a pipette style dispenser; it just does not work well at all. Due to the viscosity the product does tend to build up on the pipette which can often mean that it will seep out the side when you screw the lid back on, that’s something I have to be careful of every time I use it. That being said I would still buy it in this format as the product is too good, however I really do hope that NIOD rethink the design of this because a simple tube would work much better in my opinion. As serums go I wouldn’t say that I have noticed a difference in terms of hydration in my skin. I will be honest and say that I use this primarily as a primer now; I do not think of it in respect of skin care benefits as by the time I use this within my routine I have already used my eye cream and moisturiser. At a price of £20 I think this product is very good value for money, as for the price you get 30ml which may initially not seem a lot to some yet for how much you need it really will last you quite a long time. The only catch is that it has a shelf life of just six months so it’s worth bearing that in mind, luckily for me it is now the only primer I reach for so it is being used every single day. 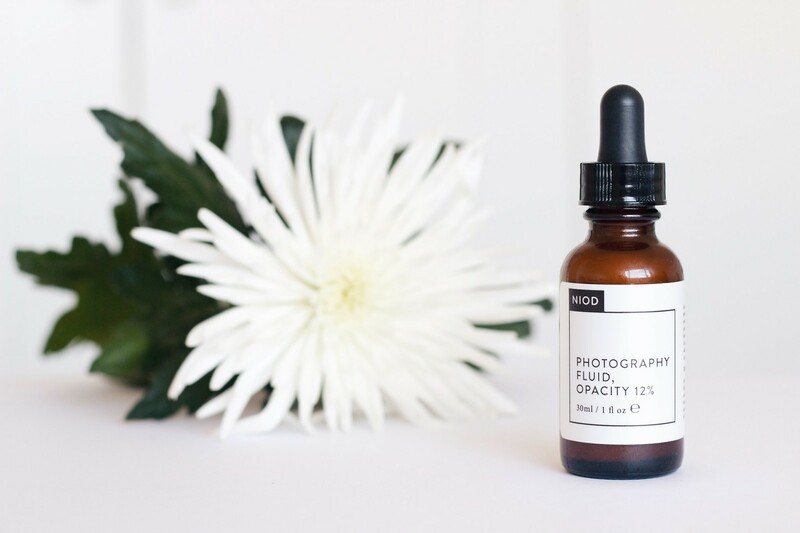 The NIOD Photography Fluid can be picked up from Look Fantastic. When I ordered mine I managed to get it for just £16 due to a discount at the time, therefore it is worth keeping an eye online for those being promoted.